The Edwin M. Stanton School in South Philadelphia has a lot to be proud of-small class sizes, a lively school spirit, and strong community relationships. The school emphasizes creative expression as part of its formula for success, and believes that providing students access to nature and the outdoors is a vital part of that formula. The community’s newly renovated schoolyard is now one more thing to be proud of. In 2013, the Community Design Collaborative and Stanton School brought students and community members together to discuss a master plan for transforming the school's yard into a new neighborhood gathering space. The Trust for Public Land lead the transformation of the asphalt schoolyard into a stimulating green play space that combines interactive learning with environmental sustainability. 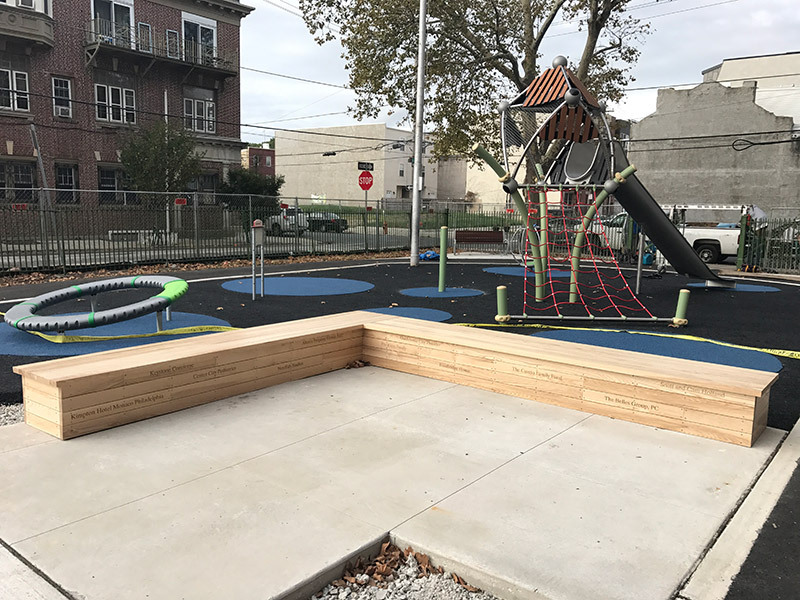 The new playground encourages outdoor recreation, fosters imaginative play, and gives the community a much-needed green space to come together.